On January 1, 2019 we will be having our famous (or is it infamous?) Hair of the Dog drive. 9:00am on January 1, 2019 – of course! 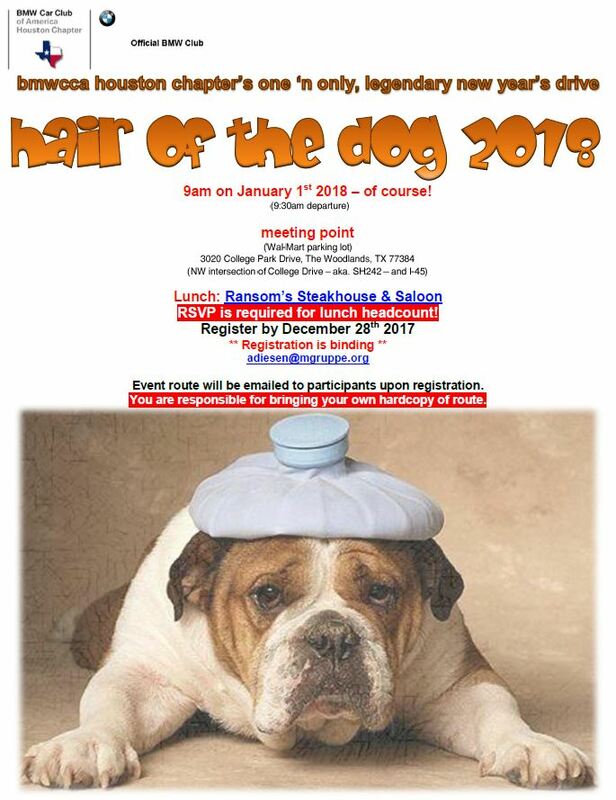 RSVP is required for lunch headcount! Register by December 30th 2018. Event route will be emailed to participants upon registration. You are responsible for bringing your own hardcopy of route. Register for the event by entering thee requested information below.